The Justinian Society and Foundation held their annual meeting and general election luncheon on June 10, 2009. 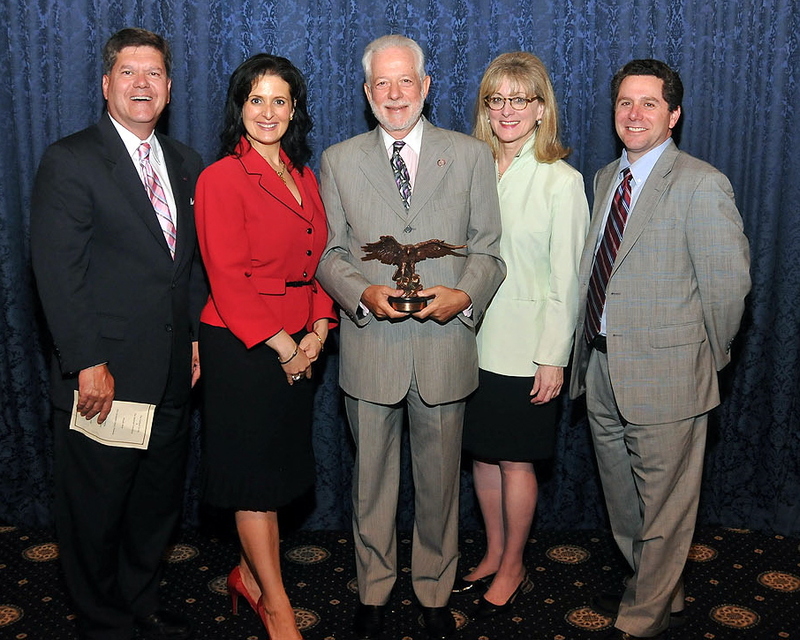 The Honorable Louis J. Presenza was recognized at the luncheon for his many years of service to both Philadelphia’s legal community and the community at large. The 2010 Justinian Society Officers with Judge Louis J. Presenza (from left to right): Vice Chancellor Edward J. DiDonato, Esq., Partner at Fox Rothschild LLP of Philadelphia; Chancellor Gina F. Rubel Esq., President and CEO of Furia Rubel Communications, Inc. of Doylestown, Pa., The Honorable Louis J. Presenza, Secretary Roberta D. Pichini, Esq., Partner at Feldman, Shepherd, Wohlgelernter, Tanner, Weinstock and Dodig of Philadelphia; and Treasurer Gino J. Benedetti, Esq., Partner, Middle Market/Emerging Company Group of Dilworth Paxson LLP of Philadelphia. Treasurer – Gino J. Benedetti, Esq., Partner, Middle Market/Emerging Company Group of Dilworth Paxson LLP of Philadelphia. Justin Moriconi, Esq., Associate of Alan L. Frank Law Associates, P.C.